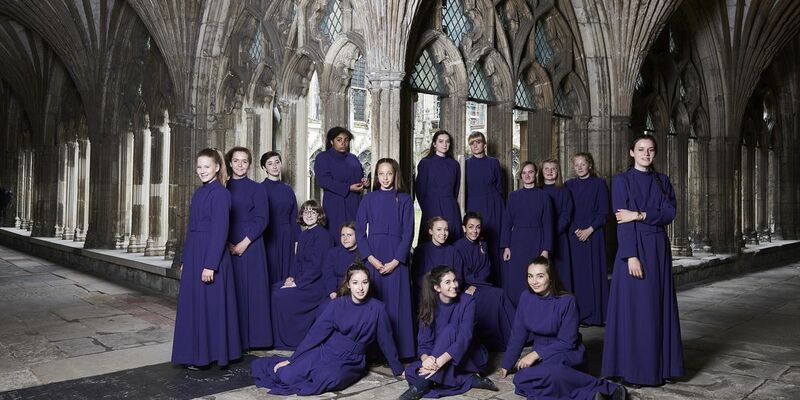 The formation of Canterbury Cathedral’s Girls’ Choir in 2014 was covered widely by the international media and featured in a BBC documentary about the Cathedral. Since then the choir has performed at numerous events of significance, including the service held to mark the 20th anniversary of the ordination of women priests and the consecration service of the Bishop of Europe. More recently they sang at a service of dedication and unveiling of two royal statues, attended by HM the Queen and HRH the Duke of Edinburgh, and the consecration service for the first female diocesan bishop. The Girls’ Choir regularly collaborates with world-class ensembles, recently including Fretwork, The English Concert, The Harmonious Society of Tickle-Fiddle Gentlemen, and VOCES8. The choir has recorded for Decca Records, Signum Classics and BBC Music Magazine; it has featured as artists of the week on Classic FM and Apple Music, and has performed live on BBC and ITV television. Canterbury Cathedral Girls’ Choir has been generously supported by The Peter Cundill Foundation. The Girls’ Choir consists of 25 girls aged between 12 and 18; they attend a variety of local schools in Canterbury and the surrounding area. Rehearsals take place on Wednesday evenings, and the choir sings regularly at Cathedral services and special occasions with the Men of the Cathedral Choir, as well as at events further afield. Above image courtesy of Ray Burmiston.